When you think of Walden Woods, you probably think of Henry David Thoreau and Ralph Waldo Emerson. You think of a rustic cabin, nature, self-reliance, simplicity. What probably doesn’t cross your mind is "video game." In fact, sitting down and staring at a screen seems like the antithesis of what Thoreau was trying to accomplish. But not to game designer Tracy Fullerton. Fullerton, a professor at the University of Southern California and the director of USC Games, has been working on a Thoreau-inspired interactive game since 2002, when the idea came to her in the middle of a 10,000-mile road trip sabbatical. After a particularly inspiring day at Walden, including a discussion with an actor portraying the writer, Fullerton noted in her journal that a video game based around the experience could be really interesting. After letting the idea percolate for a few years, Fullerton decided the time was right to pursue the game in 2007. She and her team revisited the classic book, then took what Thoreau determined were the four basic needs of humans—food, fuel, shelter, and clothing—and made them the basis of the game. They also added a goal of "inspiration," requiring the user to read, interact with visitors, and enjoy the sounds of nature. As players lose inspiration, the environment fades and gets duller. The more inspired they are, the more lush and green and detailed it gets. In short, players will spend their time in Walden Woods just as Thoreau did: building a cabin, fishing, collecting arrowheads, planting crops, finding edible native plants—all while relevant excerpts from Walden pop up along the way. If you’re wondering where the action comes in, well, don’t hold your breath. Thoreau isn’t going to encounter bears; he doesn’t escape from a burning cabin; there are no brushes with death. That’s not the point of the game. "There is no winning or losing in this particular game," Fullerton says. "This is more about experiencing Thoreau’s experiment. Each player may judge their outcome by their own standards." And for the Walden critics who will point out that Thoreau wasn’t really roughing it, don’t worry—that’s addressed in the game as well. As the writer, you’ll be able to take your laundry home to your mother and go put your feet up at Emerson’s house. 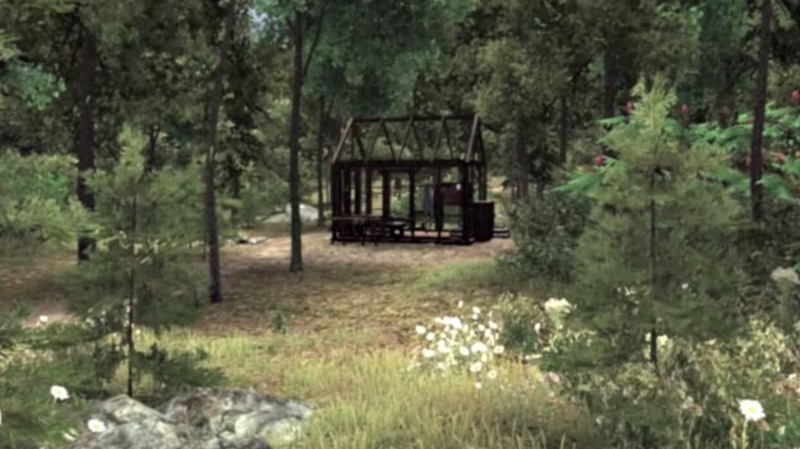 Walden: A Game has an expected release date of late 2016 or early 2017.